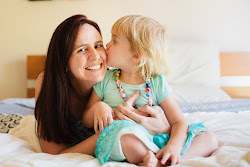 In reflecting on the 38 blog posts I've written so far, I realised that I don't have any about Maths (with the exception of a couple of worksheets I found on TpT). I thought I'd start with shape - 2D this week and 3D next week. 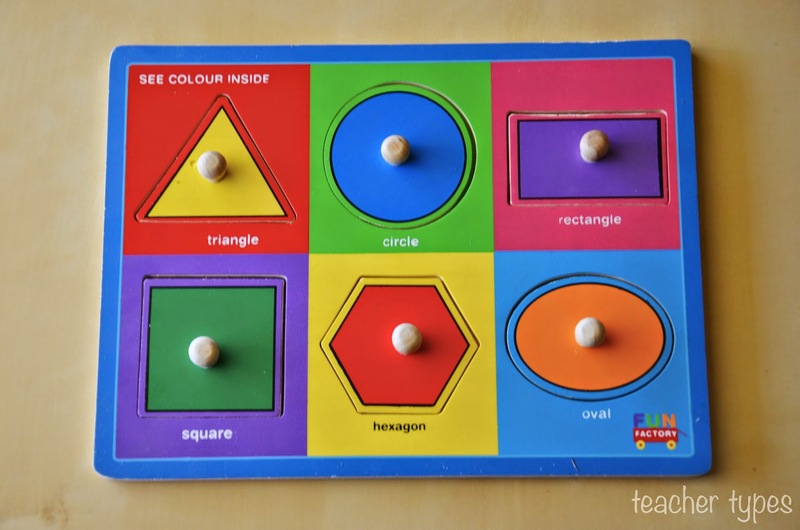 'Hands on' activities for little people learning about shapes is so important. It gives them the chance to hold, feel, touch and explore them in a real way. I love to begin introducing this concept to my classes with a 'feely bag'. Ask the child to put their hand in, grab a shape and describe it to you before pulling it out and having a look at it. This is a great time to have some discussions about the shapes - how many sides (curved or straight? ), how many corners? Explain to the children that 2D shapes are flat shapes - flat like a piece of paper. Another nice way to begin this unit is to go on a 'shape hunt' around the home, classroom or school yard. Children will love looking for and recording shapes in their natural environment. They'll soon realise that shapes are everywhere! This is a key concept we want them to learn. Click here for a great post about going on a "Shape Hunt". Pop sticks are a great resource and they have so many uses! 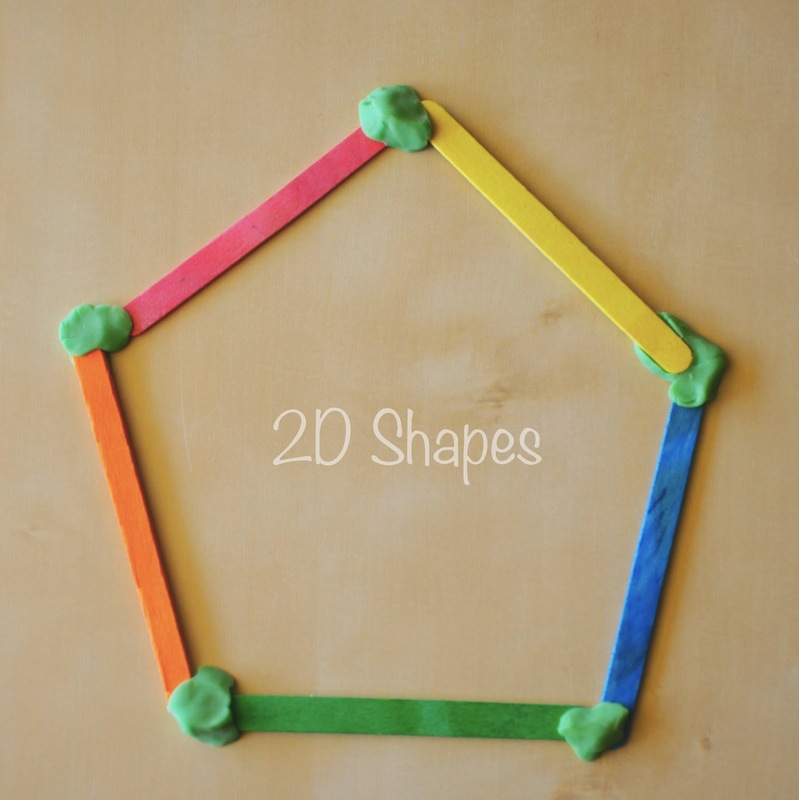 Try making some 2D shapes with your child or class and see what they come up with. Take this idea further by using plastecine as the corners to join the pop sticks together. You could also label each pop stick with its corresponding shape and the number of sides/corners it has and use sticky velcro for the corners. By giving your child only the pop sticks they will need makes this a self correcting activity and encourages independence. Match sticks would also work for mini versions of these shapes. Try using a shape template for them to place to match sticks on. Puzzles are a fantastic tool for these early spatial awareness concepts. 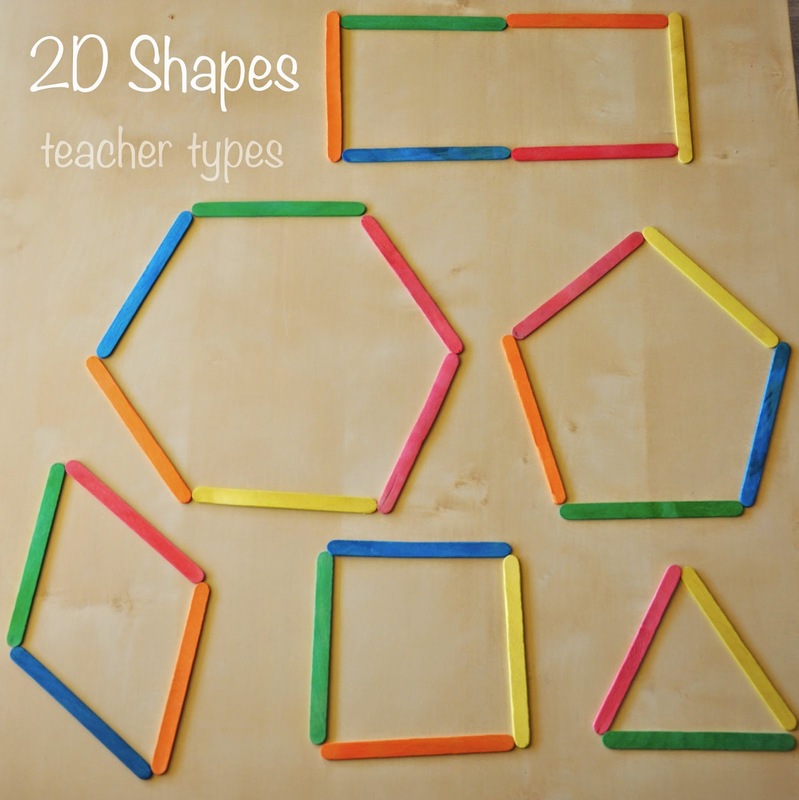 If you can get your hands on specific 2D shape puzzles - all the better! Tracing around shapes is an activity I would aim at 5-6 year olds. Cutting out and making pictures is also lots of fun! 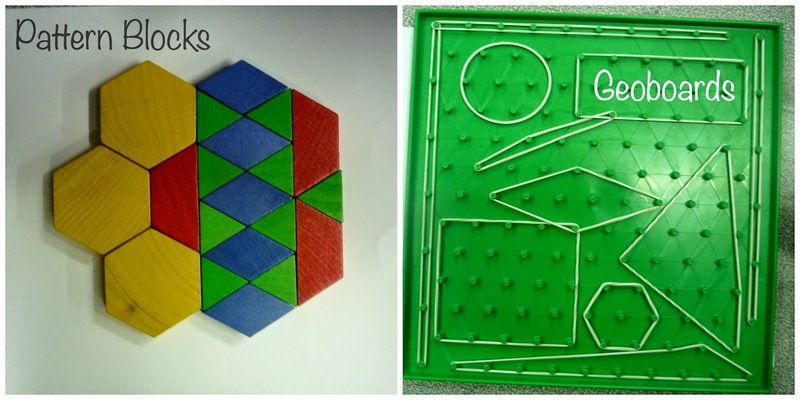 Some other classroom materials I love using when teaching 2D shape are pattern blocks and geoboards. Rotation type activities work well to allow all children to play with all of the materials in small groups. All little people love a bit of singing in their day! 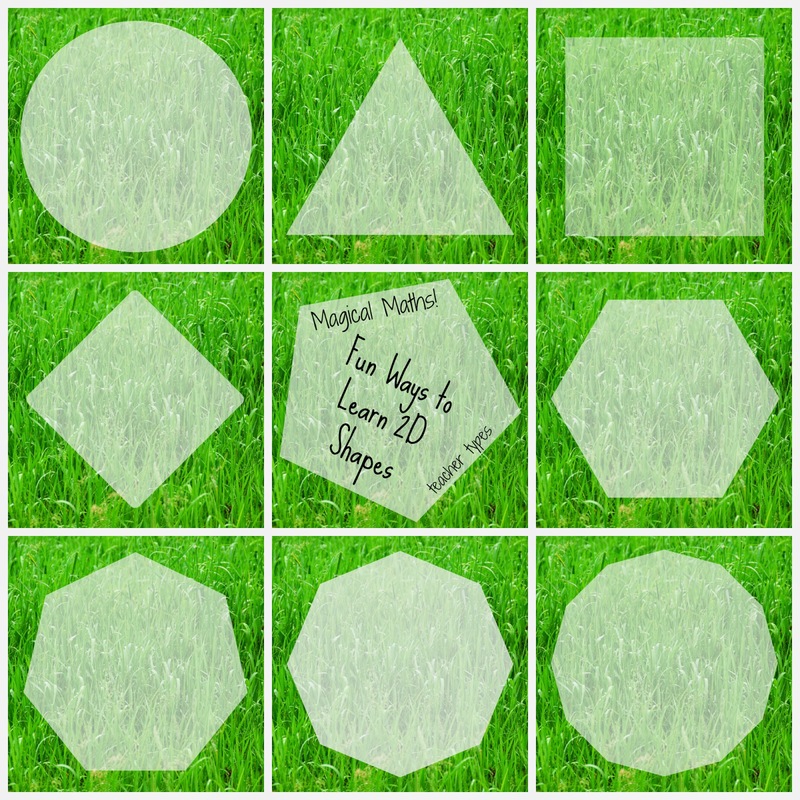 Here's a great one for when you're teaching a shapes unit (sit in a big circle and all children need to have a shape in their hand to begin with). If you're holding a square stand up! If you're holding a square stand up. Just quietly - I LOVE pentagons! Have you noticed? I'm always trying to think of new places to add them to my blog. Any suggestions? Stay tuned for the next instalment - 3D shapes!